1 M.R. 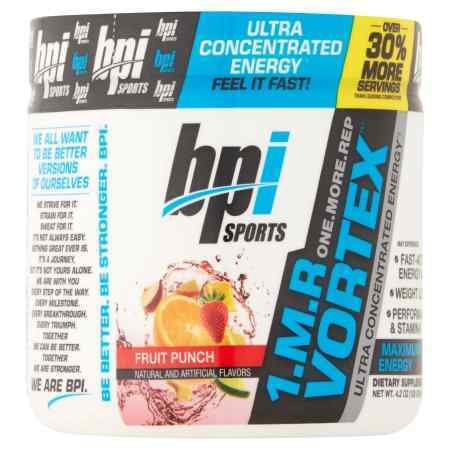 Vortex is a pre-workout supplement by BPI Sports formulated to enhance focus, power, and energy. “The Greatest Pre-Workout You’ll Ever Experience,” reads an advertisement on the manufacturer website. Jay Cutler, a four-time Mr. Olympia winner, reviews 1 M.R. Vortex positively in a video supplement review posted on the official website as well, which seems to have captured the bodybuilding community’s attention. I looked closer at BPI Sports 1 M.R. Vortex to see if it is worth trying or if it is merely hyped by influential bodybuilding figures for marketing purposes. 1 M.R. Vortex ingredients are featured in a 1,705 mg proprietary blend. Individual ingredient amounts are not provided, which makes it difficult to determine whether each ingredient is formulated effectively. This ingredient is considered a “hyperhydrating agent” because it enhances fluid retention. Glycerol is listed first in the blend, but it is difficult to gauge whether there is enough glycerol in the proprietary blend to offer hydration benefits. This powder caffeine form amplifies focus and energy for increased physical performance. Depending on users’ weight, there may be enough caffeine in BPI Sports 1 M.R. Vortex to produce similar weight lifting results. Either clinical studies supporting this ingredient’s exercise-enhancing benefits are limited or they not well publicized. I wasn’t able to find any research indicating this ingredient is effective for increasing energy, focus, or power. This ingredient contains securinine, a substance said to stimulate the central nervous system. I was unable to find human studies indicating clinically effective amounts. Yohimbe is a stimulant known for its fat burning benefits. Yohimbe also is shown to aid sexual performance by increasing blood flow in 15-20 mg doses. Optimal blood flow may translate into more oxygen to the muscles for better performance. There may be enough yohimbe in BPI Sports 1 M.R. Vortex to improve blood flow, but I can’t be positive. Is BPI Sports 1 M.R. Vortex Expensive? BPI Sports 1 M.R. Vortex retails for around $27.00-$30.00 and contains 50 servings per container. The price to serving ratio is decent. Depending on how frequently users supplement their workouts with 1 M.R. Vortex, a bottle lasts around a month and a half. 1 M.R. Vortex comes in one flavor: fruit punch. What Does the Supplement Community Think? 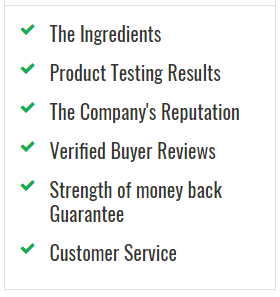 The company recommends using BPI Sports 1 M.R. Vortex on training days only. Users should begin with 1 scoop to assess tolerance. If favorably received, users may increase the dose to 2 scoops. Don’t exceed 2 scoops in a 24 hour period. Users shouldn’t take BPI Sports 1 M.R. Vortex for more than 8 consecutive weeks. Who Shouldn’t Take BPI Sports 1 M.R. Vortex? BPI Sports 1 M.R. Vortex use is intended for those over 18 years of age. BPI Sports 1 M.R. Vortex seems an average pre-workout supplement. Many of its benefits and advantages seem related to the 2 stimulant ingredients caffeine and Yohimbe. Its positive user reviews are hard to ignore, but the insufficient supportive clinical evidence surrounding the other ingredients catches my attention. For this purpose, I don’t strongly recommend BPI Sports 1 M.R. Vortex. If you are caffeine sensitive, BPI Sports 1 M.R. Vortex may not be the best choice. The price is decent, however. If you decide to try BPI Sports 1 M.R. Vortex, let us know about your experience in the comments below.